There are four main ligaments in the knee joint: lateral collateral ligament, anterior cruciate ligament, posterior cruciate ligament and medial collateral ligament. These ligaments give strength to the knee joint, and when torn, can take several weeks or months to heal. Your rehabilitation depends on the severity of your injury, so consult a doctor first. The lateral collateral ligament, or LCL, holds the knee on the outside of the joint. The ligament spans from the bottom outside portion of the thigh bone to the outside of anterior bone on the lower leg, the fibula. The Summit Medical Group in New Jersey recommends an exercise called "Straight Leg Raise" that can be performed directly after the injury. Lie on your back with your legs straight out in front of you. Tighten the thigh muscle of your injured leg and lift about eight inches off the floor. Repeat three sets of 10 reps. The anterior cruciate ligament, or ACL, is the ligament located inside your knee joint. You usually hear a popping sound when you tear your ACL. Do range of motion exercises when healing from a torn ACL. For example, sit on the floor with both legs straight in front of you. Bend your injured leg as slowly as possible, as much as you can. Then straighten the injured leg and repeat three sets of 10 reps. The posterior cruciate ligament, or PCL, is located at the back of the knee joint. Tears in the PCL usually require surgery. Once surgery is complete and the swelling is down, perform exercises that strengthen the quadricep muscles, like leg extensions. Your doctor is also likely to recommend professional physical therapy. 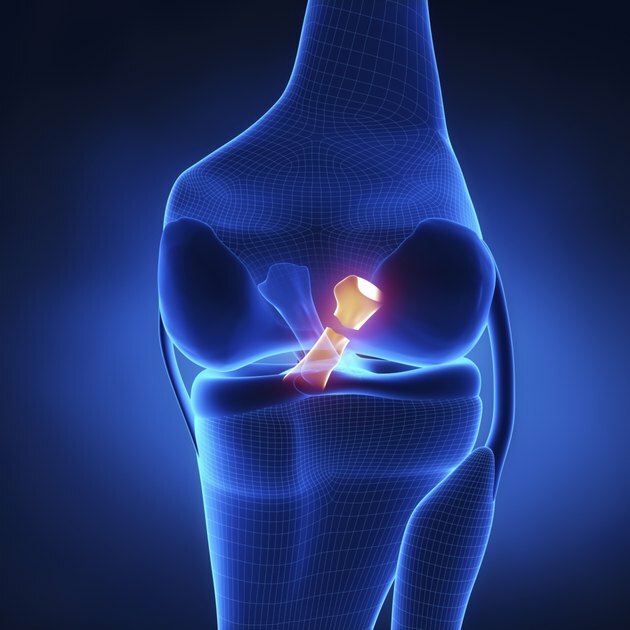 The medial collateral ligament, or MCL, is located on the inner part of the knee joint. To rehabilitate tears in the MCL, start with range of motion exercises once the swelling has gone down. Ride a stationary bike or step up and step down slowly to improve range of motion. Once your range of motion is restored, begin strength-building exercises like leg presses and leg extensions. If your knee feels sore while doing these exercises, slow down the pace.